A highly effective appliance that has been manufactured with the demands of this process in mind, the Pony Formplus S is a highly impressive tensioning form finisher that can boast extremely effective results. It utilises vertical tensioning to finish seams perfectly and to leave the fabric looking good and feeling wonderful. 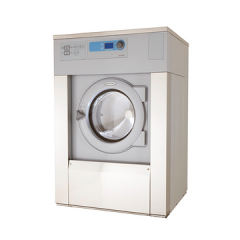 Everything from large raincoats to small dresses can be brought back to life in no time, and a number of fabrics, including leather, can be used with the Formplus S. Fully adjustable thanks to the powerful microprocessors that are a feature of this appliance, each cycle can then be saved for future usage. The Formplus S is ready to be used with an existing external steam supply. Ten wonderfully versatile programmes are standard for this model, so it can be adjusted to match your own personal requirements. 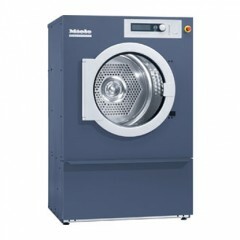 Ready for use by any member of the laundry team, perfect results can be achieved time after time. 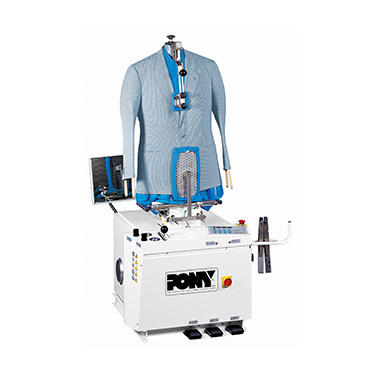 Vertical and lateral tensioning of jackets. Automatic chest positioning according to the garment size. Adjustable steam delivery, duration and temperature. For central steam and air supplies. Three cycle operation; fully automatic, semi-automatic and manual.